Photovoltaic solar panels are a good way to replenish the DC power in your boat’s battery system. Small panels maintain or trickle charge batteries while you’re unplugged from shore power. Larger panels also charge batteries, and produce enough energy to power appliances, like an inverter used for producing household-type AC power. 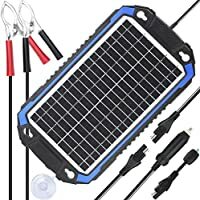 Who Can Use Solar Panels? 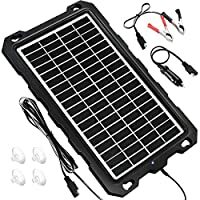 Small boats: A solar panel can keep the battery fully charged when the boat is on the trailer, at a mooring or sitting at her slip. All batteries self-discharge, and a small panel can eliminate the problems caused by dead batteries. 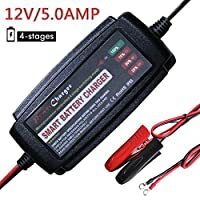 Since solar panels put out pure DC power, they are excellent chargers as long as they have a regulator in the circuit when they require it (see below). Cruising and racing sailboats can use solar panels to augment or replace their other charging sources. Many sailboats that go on long passages have to use their propulsion engine for 1 to 2 hours per day to charge batteries and replace the energy that’s been consumed. With a couple of solar panels installed, these boats can often extend their time between engine uses by a day or more. Truly efficient solar-equipped boats may not have to use the engine for charging at all. How much energy do you want to generate? 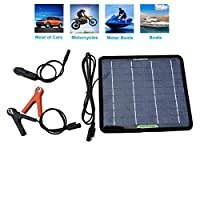 Solar panels charge 12V batteries, and might have a voltage of 20V with no battery in the circuit, but are engineered to provide their power at the voltage a 12V battery requires for full charging. Panels are measured in either Watts, or Amps, or both. We rate them in Amps, since most boaters have an idea of how many amp-hours their battery capacity is, or how many amp-hours they use in a day while cruising. We also use a simplifying assumption, and that is the panel will put out its maximum output for five hours a day. As they say in the car commercials, “your mileage may vary,” but this rule of thumb works well for estimating a panel’s output. We arrive at these values by averaging the number of hours the panel spends in full sun (defined as 1000 watts of energy per square meter). Full sun means enough light so you see fairly sharp-edged shadows (most locations get no more than 80 to 85% of full sun). In most of the Continental U. S. the amount of time a panel spends in full sun averages four or five hours per day.